IF YOU'RE LOOKING FOR THE KEY TO A SUCCESSFUL RELATIONSHIP THIS IS THE BOOK FOR YOU. Do you keep thinking `this is the one', only to realise `I've been here before'? Perhaps your new lover just doesn't feel right or claims he's not ready for commitment. Well, search no further the answer lies here... inside this quirky little book. Comprehensively illustrated, straightforward and clear, `Such is Love' strikes at the heart of mutual attraction and uncovers the truth behind our romantic choices. In a series of fast paced first-person narratives, loves common dilemmas are fully explored. Witty cartoons play along with analysis and our romantic games are revealed. Games are patterns we all get caught in, where everyone ends up a `player'. `Such is Love' will hand you the key, opening the door to self-knowledge. Packed with advice for a positive outcome, this is the chance to take back your power. A happy, fulfilling and lasting relationship is closer than it seems. "No matter how badly a person's behaving and let's face it there are some real `players' out there, if we're continually choosing relationships which cause us pain, we're trapped in a negative pattern of behaviour as much as they are. We're playing a Game. We just aren't aware of it yet. This book is about those Games. It isn't about the fun flirtations we play as harmless pastimes, it focuses on the compulsive perplexing and unconscious patterns that form part of the human condition and over which without awareness, we have so little control. 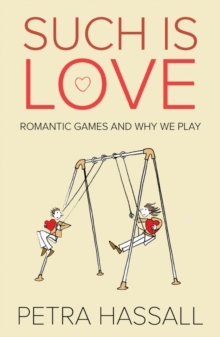 Aimed at all those who suspect they're playing, `Such is Love' analyses what's going on beneath the surface, whenever we're caught in a compulsive pattern of behaviour."